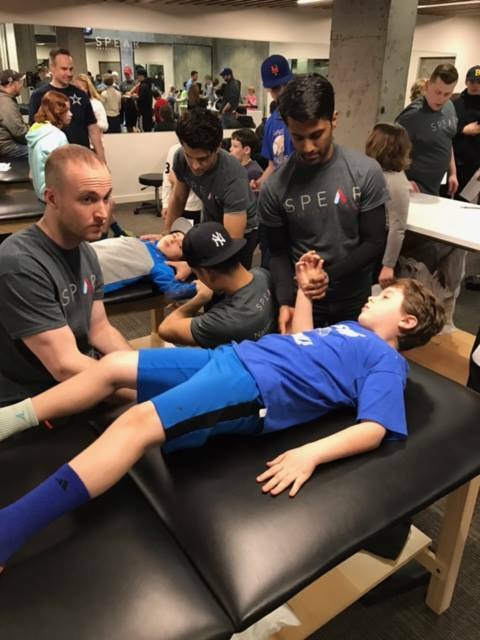 On Saturday, March 25, SPEAR Physical Therapy hosted a Baseball Injury Screening for the Peter Stuyvesant Little League (PSLL) players as part of our continued grassroots effort to prevent throwing injuries. Did you know that pitching is the fastest recorded human movement? The amount of force experienced by a pitcher’s shoulder is 1-1.5x that of the person’s body weight! We are doing what we can to help the youngest ball players stay injury free. Justin Farnsworth, PT, DPT, CSCS, SFMA, CAFS, ran the recent screen which brought to SPEAR some 35 young players. In his time working as a PT in Arizona, Farnsworth, a college-level athlete, conducted similar assessments many times for ball players at all levels of the game, including many major league athletes. 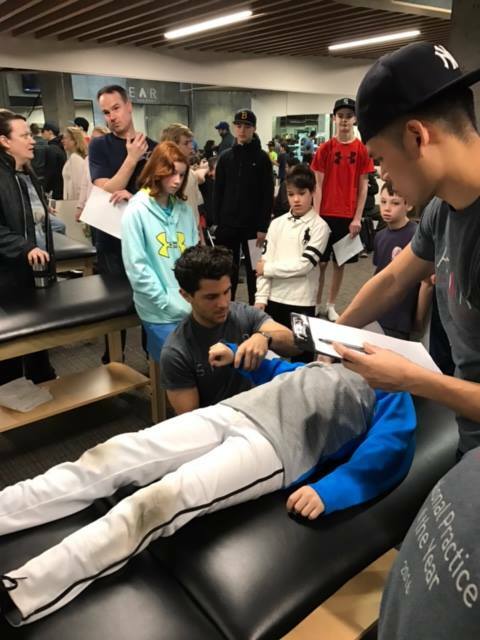 The PSLL athletes who attended the screen were put through a series of seven short tests designed to assess critical components of a pitching delivery. The goal was to identify any players who would be considered at risk for injuries related to throwing. 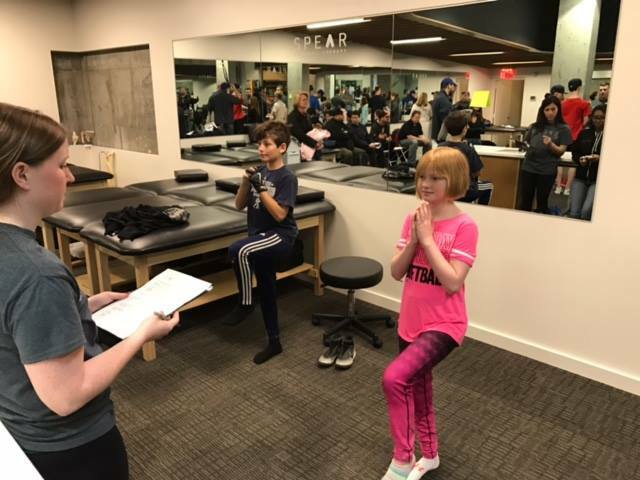 Players who were determined to be vulnerable to elbow or shoulder injuries received injury-preventing tips and corrective exercises from members of the SPEAR team. The importance of these assessments should not be overlooked for players of this age. 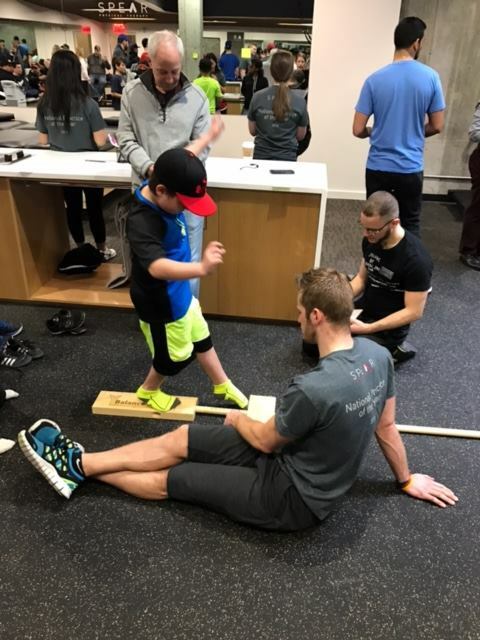 With a little education in motor control and some targeted strength exercises, most at-risk players are able to reverse their tendency toward injury in just a few sessions with the right physical therapist. Any baseball team interested in this type of functional screen should contact us at 212-759-2282. Thanks to everyone who came out! All of us at SPEAR Physical Therapy wish you a safe and winning season! Overhead throwing athletes are at a significantly increased risk for injuries involving overuse of the shoulder and elbow. These injuries can range from ulnar collateral ligament tears, labral tears and rotator cuff tears that can affect athletes at any level of their sport. How Dramatic is the Throwing Injury Problem? To visualize the prominence of baseball throwing injuries, realize that in Major League Baseball shoulder and elbow injuries account for more missed games than injuries to any other region of the body. 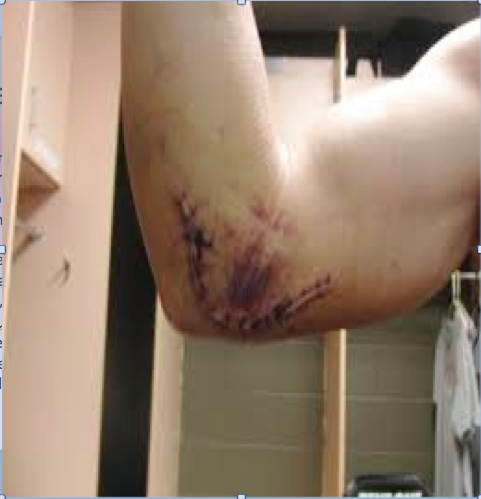 Elbow injuries alone result in roughly 8,000 days on the Disabled List each year in the majors. Shoulder injuries account for 3,000 days. To address this rise in throwing injuries it is imperative to identify their risk factors, which often stem from basic over-use. For instance, due to the extreme amount of stress that pitching places on the entire upper extremity, pitchers are the most susceptible to throwing injuries. Shoulder torque during pitching can reach as high as 7500-7700 degrees per second! That is just for one pitch! In a survey of 500 injured baseball players from middle school to college-aged, 15% stated that future baseball performance was limited due to injury sustained during youth baseball. In this same survey, 50% of all injures suffered were from either the elbow or the shoulder. Studies demonstrate that half of pitchers from all levels experience shoulder or elbow pain within a season. How Do We Prevent Throwing Injuries? Research has shown that the amount of competitive pitching, and the pressures to pitch while fatigued, are strongly linked to elbow and shoulder injury. Other risk factors may include pitching on multiple teams, pitching year-round, playing the catcher position (which actually throws more than a pitcher) when not pitching, poor pitching mechanics, and poor physical conditioning. 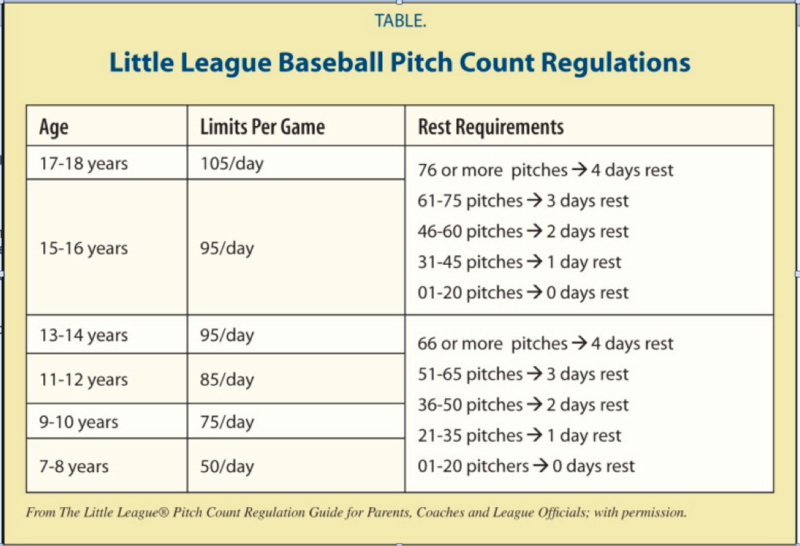 Averaging more than 80 pitches per game may quadruple injury risk, and pitching more than 100 innings per calendar year may triple the risk of serious shoulder or elbow injuries. Pitching with arm fatigue, which can typically be evidenced by a noticeable drop in velocity of pitches) leads to 36 times increased injury risk! Also, a pitcher who throws more than 41 pitches should not play catcher that day. Screening can help prevent injuries. Lacking symmetrical shoulder flexion (within 5 degrees on both sides) and total arc of rotation increases injury risk by 2.5-2.8 times. Did you know that 60% of the force of a pitch is generated from the legs? 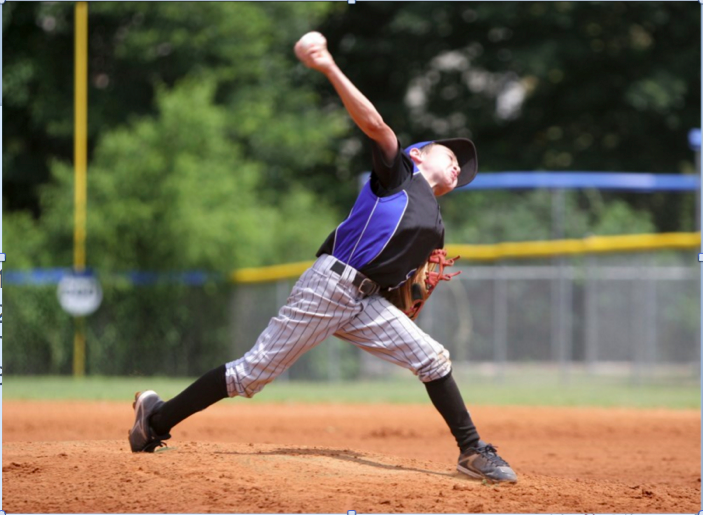 Pitching is an entire body motion that requires coordination of muscle activity for proper form and injury prevention. Total body strengthening programs can address lower extremity and functional core strength — as well as shoulder strength. In fact, pitching ability requires a transfer of energy all the way from the lower extremity through the trunk to the arm. The legs provide a stable base for the trunk (core) to rotate and flex. Pitching is a highly complex and coordinated full body movement that culminates with dynamic motion of the throwing extremity. Proper training and screening of this kinetic chain movement must be appreciated and understood to a greater depth. Despite update guidelines and precautions (pitch counts, pitch type, rest), many pitchers are still experiencing overuse injuries that can be prevented with better training and understanding of risk factors.